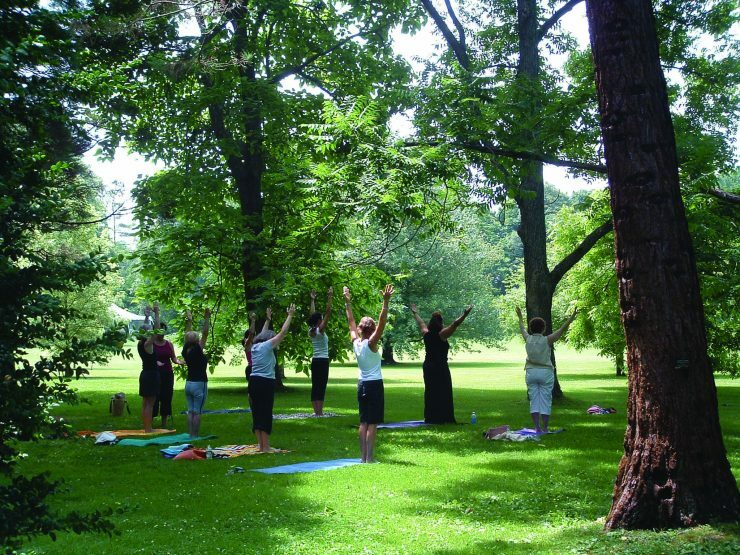 Blithewold and Bristol Yoga Studio present an outdoor summer yoga series each Friday morning at 9:30 am. All are invited to join in for an inspiring morning class under a canopy of trees, amidst the gardens and waterfront property. Bring a yoga mat, water, and wear comfortable clothing. Dates subject to change. Please check the website beforehand for weather updates. Bristol Yoga Studio Class Passes welcome. Click here to register on the Bristol Yoga website.